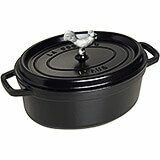 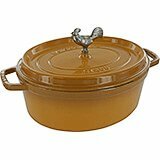 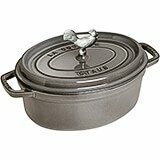 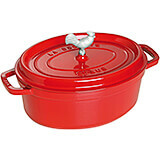 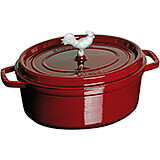 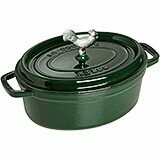 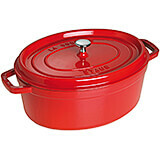 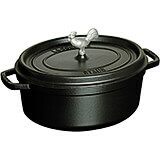 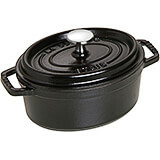 This oval La Cocotte is ideal for stews, roasts, soups, casseroles and other one-pot classics. Investing in a Staub large oval La Cocotte means that you are investing the quality of your foods and a treasure that will be a part of your kitchen for years to come! 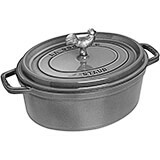 It has an interior enamel finish produces a natural non stick surface that is more resistant to scratches and chips and it impressively wont rust or become discolored. 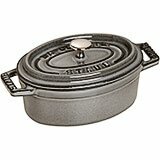 9.0" X 5.8" X 4.8"
15.7" X 12.8" X 6.3"